Support your tired back and neck with this ultra-plush and super-cozy pillow with soothing sounds. Choose from six sounds, then select the desired volume with the adjustable sound control to ease you into relaxation. Use the built-in timer if needed. 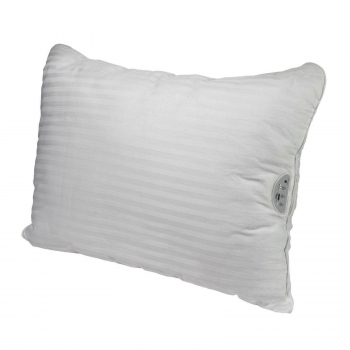 This standard queen pillow is made with 100% cotton outside and 100% polyester inside. You can also choose to listen to your own music by plugging in your MP3 player. Rejuvenate your mind, body, and soul with the comfort and soothing sounds of this plush pillow.